Juicer As Your Personal Social Media Aggregator. You Don't Even Need a Website to Use Juicer! Juicer is widely used as a social media aggregator for brands to display their own social content (or relevant hashtags) on their website. From Bon Jovi and the Golden Globes to Princeton University, Juicer’s social media feed is fantastic for business purposes. However, celebrities, schools, and businesses aren’t the only ones that can benefit from a social media aggregator. If you’re just looking for a way to aggregate all of your personal social media channels into one simplified dashboard, Juicer can also serve as a personal aggregator. You don’t even need a website! A social media aggregator allows you to curate all of your posts, hashtags, videos, and photos from various social channels such as Facebook, Twitter, and Instagram into one simple feed you can manage from Juicer’s dashboard or embed anywhere. If you already have a website, you can embed it on any webpage, or choose to solely view your content privately within the dashboard. Juicer’s aggregator also integrates with up to 18 different social media channels you can add as a source. Juicer’s social media aggregator is a very useful tool, but as a personal aggregator, how does it benefit you? You can use Juicer as a hub for the social media accounts you personally follow across many platforms. Create a new Juicer feed, add the accounts you want, or enter a hashtag related to an event or trend you’re following (a TV premiere, a sporting event, a notable public figure, etc. ), and voila - all the content is right there. No more switching between Facebook and Twitter tabs (or anything else) in your browser. Everything is in one, organized place. You can add up to two sources with the Free Plan, five with the Medium Plan and 15 with the Large Plan. This allows you to use your Juicer hub as your own personal social media news aggregator. Even if you choose to view your social channels from the Juicer dashboard instead of embedding it into a website, this doesn’t mean you can’t share it too. Every Juicer feed you create also lives on its own page, accessible by clicking “Share Your Feed” on your dashboard. Click “View your public feed” or copy and paste the URL into your nav bar and you’ll be taken to the page dedicated to that social media feed. (Expert tip: your personal url is juicer.io/yourfeedname). All the posts are there for you to peruse, refreshed as often as they would be if they were embedded on a website - this depends on whether you have the Small, Medium or Large Juicer plan. If you’re a brand that simply doesn’t need a website, just send people to the URL for your Juicer feed that appears when you click “Share your public feed.” It’s another great way to use Juicer. Where can you share your personal aggregator feed? Social media channels such as Instagram, Twitter, and Pinterest have so many features, analytics, and functionality that some people don’t even bother setting up a website to establish their business. Many influencers and successful brands have earned success just using their social media channels. By sharing your personal aggregator link on your social profiles, you can show your followers your other social channels without them having to switch or sign up for new accounts. You may have 20,000 followers on Twitter and 10,000 fans on Facebook but not everyone on Facebook has a Twitter account. By sharing your personal aggregator link, people can check out your multiple social channels without having to sign up for each one. LinkedIn is also another great place to share your personal aggregator. Clients and other business professionals can check out your brand from a social media standpoint without having to switch between multiple channels. It’s also a great addition to your business card. Juicer’s Large and Medium plans include full moderation and filter features. With these features, you can completely customize your personal feed’s content. With the moderation and filtering features, you have complete control over what you want to see within your personal feed. You can block a certain word or phrase within the Juicer console. Let’s say you want to block all posts that contain the word “cheese,” enter this word into the “Disallow” field with various capitalizations, such as Cheese, cheese and CHEESE. Separate these words with commas. This will ensure all variations of this word will not pop up in your feed. You can also block profanity from entering your feed. The dashboard contains an immense library of profane words and statements that will be blocked by “Don’t allow posts with profanity”. It is unlikely you’ll need to add more inappropriate words into the “Disallow” field. Simply check the “don’t allow posts with profanity” box. Similarly to disallowing certain words, you have the option for the feed to only allow posts with certain words. Just like above, add the words you want to filter by into the box with all of its variations. You can also filter posts by hashtags. You can block and allow hashtags just like you can with normal words. You simply need to add the hashtag into the appropriate box for Juicer to then filter it as you wish. Juicer’s Large Plan also provides analytics in addition to the moderation and filtering options. With the analytics feature, you can track your posts, page views, click-throughs, and user engagement over time to see how your feed is being used. You can also use Juicer as a news aggregator. Sometimes our social media accounts are flooded with posts from our favorite brands, family, and friends that the information we are most interested in gets lost in the mix. If you’re only interested in seeing what’s happening in the news, you can filter what enters your feed. For example, with Twitter, you can filter by news channel by adding their @usernames, keywords around a trending topic, and topic hashtags into the Juicer dashboard. Only content from these specifications will appear, giving you distraction-free access to all the buzz around a certain topic. We offer a free, basic option that anyone can use! Juicer’s free plan includes two social media sources so if you’re tired of toggling back and forth to view your Facebook and Instagram accounts, sign up for a free (Small) Juicer plan to have access to both at the same time. The free plan pulls in new posts every 24 hours. If you prefer more frequent updates and to add more social feeds, we offer upgraded, paid options with our Medium and Large plans. The Medium plan updates your feed every hour and you can include up to 5 social media sources. The Large plan updates every 15 minutes and you can add up to 15 sources. 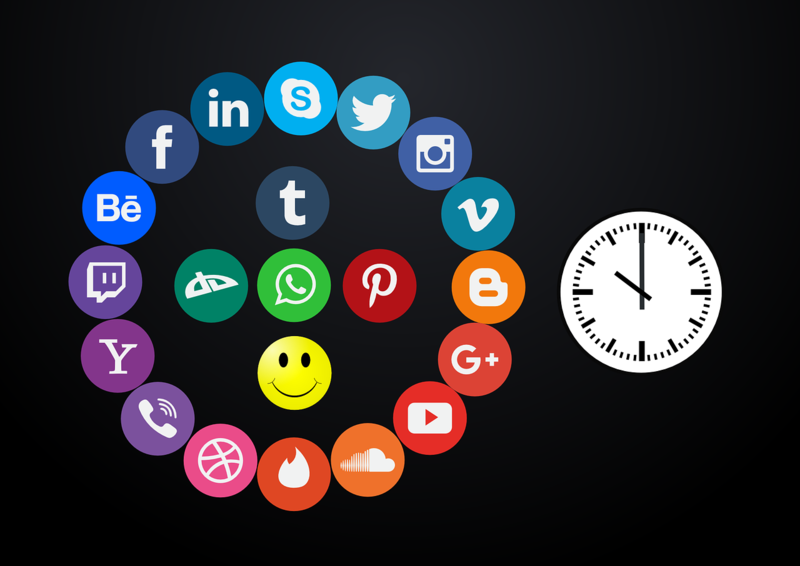 Between work, family, and social activities our lives are often so busy, and for many of us, social media occupies a lot of our day. Juicer’s personal aggregator is designed to help you organize, customize, and simplify how you view your social content giving you exactly what everyone needs - more time.